Riviera Nayarit Mexico Blog: Ready for the 5th Anual Tuna and Marlyn Tournament? 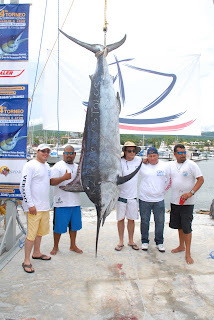 Ready for the 5th Anual Tuna and Marlyn Tournament? Tomorrow will be last day for registers for the 5th International Tuna and Marlyn Fishing Tournament at Riviera Nayarit and will have a cocktail to start party. Will you be fishing with us?